Do iconic sights live up to their billing? 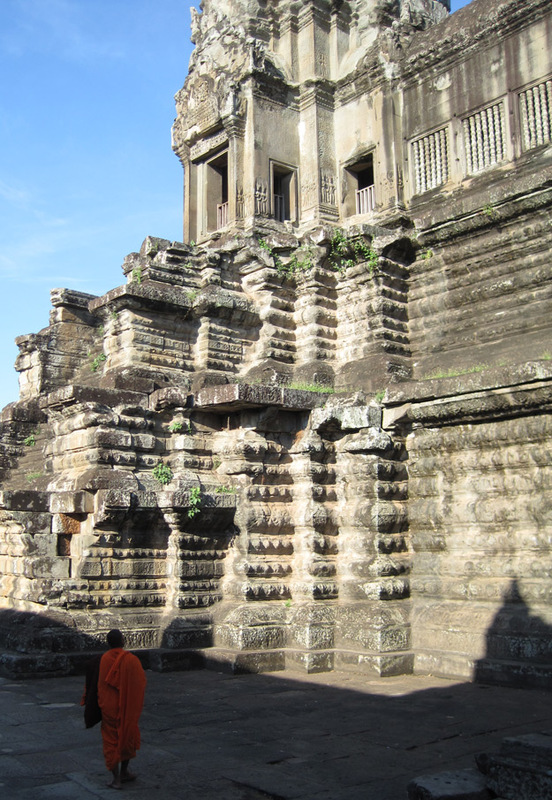 Ben Briggs, Wendy Wu Tours Marketing Manager, recently visited the World Heritage listed temples of Angkor in Siem Reap, Cambodia, one of the highlights on our Cambodia tours. 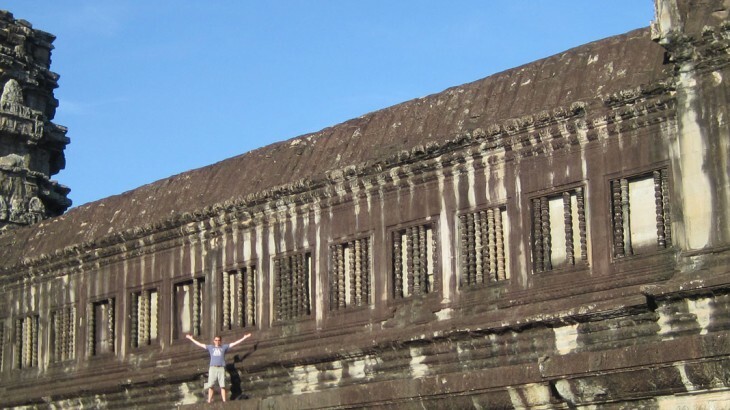 Angkor Wat has been on my travel wish list for as long as I can remember. Along with the Sydney Opera House, Machu Picchu, Great Wall of China and the Taj Mahal to name just a few, how many of these sights fail to live up to their own legend and myth? We are exposed to so many pictures and stories of these famous sights that sometimes when you finally find yourself standing in front of them, it can be a little underwhelming. 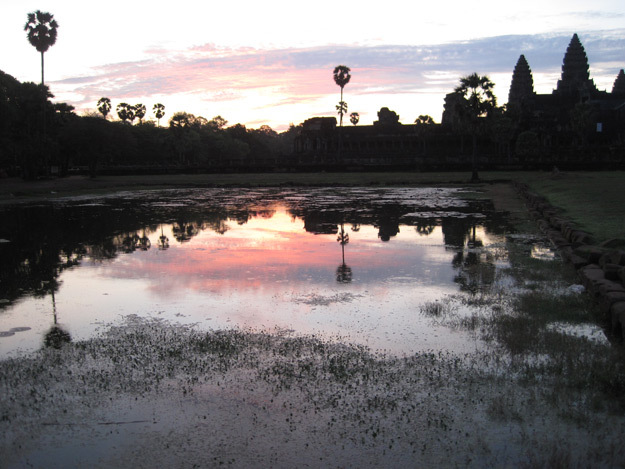 So how did Angkor Wat fair? I am pleased to say that it didn’t disappoint. We awoke at 4:30am in order to capture the temples at sunrise before the crowds and the heat of the day. I have always said that in life there are big days and small days and this one most definitely a big day. It was truly a mystical experience as the sun rose steadily over the huge sandstone temple and seemed much bigger than the pictures suggested. We toured through the many rooms and floors, trying to get an understanding of life many centuries ago. As an added treat, around every corner, there seemed to be a Buddhist monk dressed in vibrant orange. I had assumed that they lived here, in the monastery that is adjacent to the temple complex, but no, they were tourists just like us visiting from other parts of Cambodia. The whole place seemed like one big movie set, yet this was the real thing. So as we left to visit Angkor Thom and Ta Prohm, other incredible temples in the area, I added Angkor Wat to my list of sights that definitely lived up to their billing. 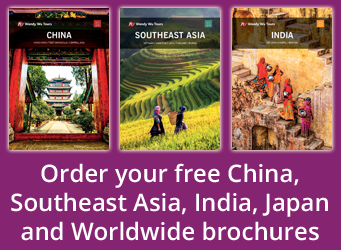 Visit Cambodia with the UK’s leading Asia Experts, Wendy Wu Tours. Our award winning escorted, fully inclusive Cambodia tours visit all the major sights of Cambodia for an unforgettable holiday. 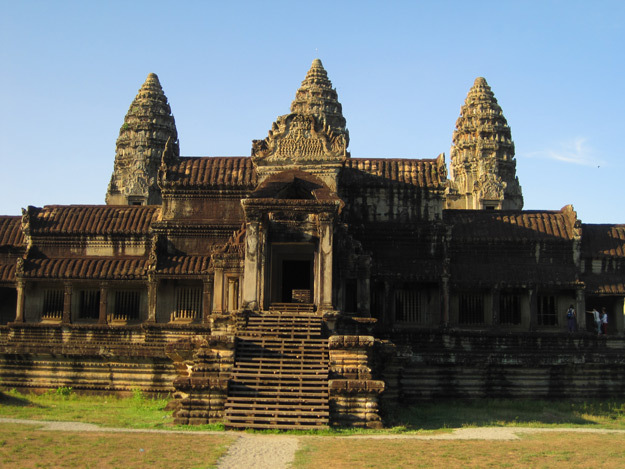 Cambodia top things to see, tourism, tours, unesco heritage site. permalink.